The agreement is a natural partnership to work collaboratively in a wide range of fields: business, pharmacy, traditional medicine, disaster resilience, technology, and sustainability. 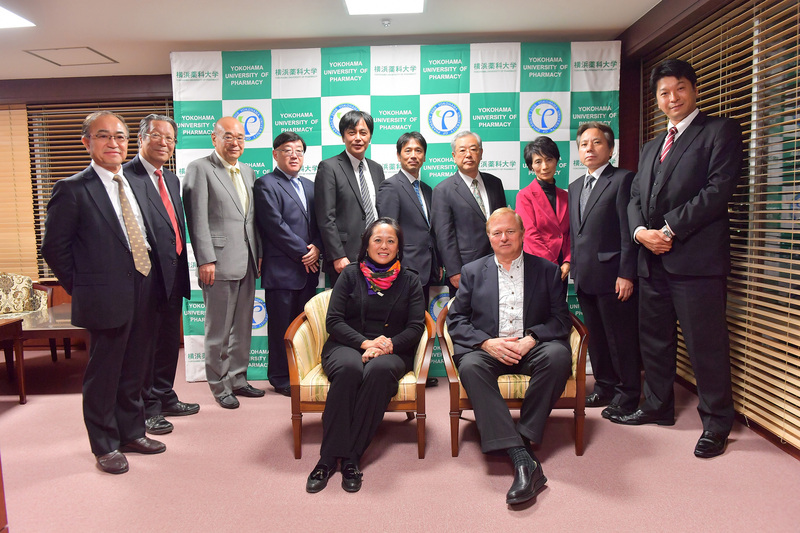 The University of Hawai‘i System has entered into a formal agreement with the Tsuzuki Education Group to advance collaborative education and research with several universities in Japan. Last month I traveled with UH President David Lassner to Fukuoka, Japan, where the group is based, to sign the agreement. Dean of the UH Hilo College of Pharmacy Carolyn Ma joined us on the trip. Seated with Carolyn Ma, dean of UH Hilo College of Pharmacy, in front of group from the Yokohama University of Pharmacy. Location: Totsuka-ku, Yokohama, Kanagawa Prefecture, Japan. Courtesy photo, click to enlarge. The Tsuzuki Education Group includes more than 20 private universities and colleges, as well as high school and middle schools, in multiple locations across Japan. The agreement is a continuation of a 35-year relationship between Hawaiʻi and Fukuoka, established by former Governor George Ariyoshi, whose father came from Fukuoka Prefecture. The agreement under Gov. 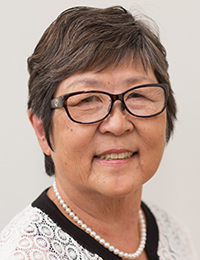 Ariyoshi was Hawaiʻi’s first sister-state international relationship, and it was a perfect choice given that we are island communities with deep familial, cultural and economic connections between us. Fukuoka City is now designated as an Innovation Hub for Japan, which parallels nicely to the Hawai‘i Innovation Initiative where UH is working with the private sector and government to build an innovation, research, education and training enterprise in Hawai‘i. It’s within this context that the new agreement with the Tsuzuki Education Group is a natural partnership, building on the longstanding relationship between Fukuoka and Hawai‘i to work collaboratively on common, modern challenges in a wide range of fields: business, pharmacy, traditional medicine, disaster resilience, technology, and sustainability. This new system-to-system partnership builds on already existing agreements between UH Hilo and Tsuzuki including exchange programs with the Yokohama University of Pharmacy and Japan University of Economics. UH Hilo’s Conference Center is already arranging study trips for Japanese students. Representatives from Yokohama University of Pharmacy came to visit us here and we put together a series of short visits for students—Japan students can see how we do things and vice versa for our students. We hope now to expand these types of exchange opportunities for students both ways. During our trip, Carolyn Ma and I visited the different campuses and pharmacy facilities to look at ways we could establish and expand research exchanges and collaborations. The pharmacy schools in Japan are researching traditional medicines, which dovetails nicely with the research being done on natural products at our pharmacy college. Three campuses in Japan are working on business and economic issues—faculty there are very interested in the impact of Japanese tourism and are doing innovative work on economic development. Our new dean of the College of Business and Economics, Drew Martin, will be traveling to Japan to discuss different opportunities to collaborate on programs of benefit to both Japan and Hawai‘i. Another area of shared interest is with the use of unmanned aerial vehicles for data collection—we can share strategies for approaching challenges such as natural disaster response, collecting geographic data, and mapping areas such as agricultural lands and conservation areas. I’m excited about the education and research opportunities this partnership will bring as we work together through collaborations with faculty and students to create a better future of mutual benefit for both the people of Japan and Hawai‘i. For photos from the trip and more information, visit the post on my blog: Chancellor Straney visits universities in Japan.